Mellerstain, one of Scotland's great Georgian houses was begun in 1725 by William Adam and completed several years later by his famous son, Robert. First mentioned in 1451, the estate was granted by Royal Charter to George Baillie of Jerviswood in 1642. His descendant, George Baillie and his wife lady Grisell Baillie commissioned the design of the present house. The interior decoration is outstanding - the ceilings are especially worthy of note, having been preserved in the original Adam colours. The Library is a masterpiece of Classical Decoration and colour - fine detailed plaster work incorporating marble busts by Roubiliac. 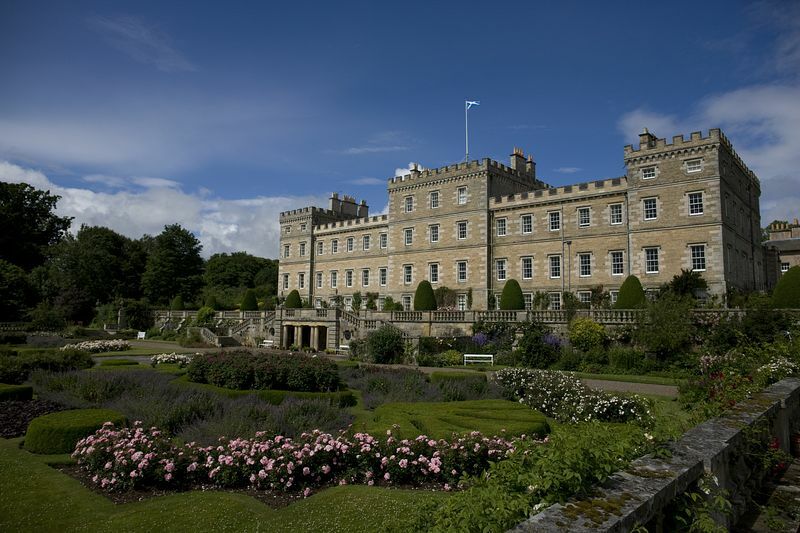 Mellerstain houses a superb collection of paintings including works by Van Dyck, Gainsborough, Ramsay, Aikman and Nasmyth and many lovely pieces of period furniture. The portraits on show in the house depict many members of the family. 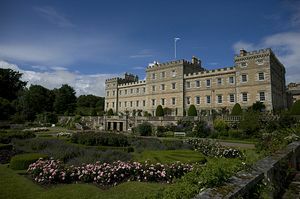 The house stands in beautiful parkland - the Italian-styled terraced garden was laid out in 1909 by Sir Reginald Blomfield and commands a glorious view overlooking the Lake to the Cheviot Hills in the distance. There is an unusual Thatched Cottage and Tea Room. Within the grounds of Mellerstain there are 3 self-catering cottages, and the house is available for weddings, events and welcomes group visits. Child £2.50 under 5��s free. Groups £7.50 per person within normal open times. The house is signposted on the A6089 Kelso-Gordon Road, one mile to the West. The approach from the A68 Jedburgh-Lauder Road is through Earlston and then by following the minor road towards Smailholm. From St Boswells, take the B6404 and turn right through Smailholm.